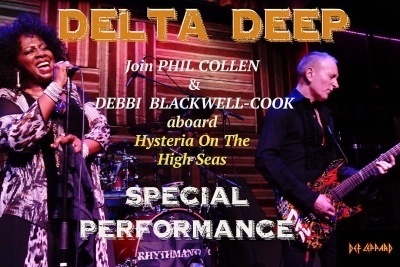 Def Leppard guitarist Phil Collen and Debbi Blackwell-Cook of Delta Deep will play a show during the Hysteria cruise this week. The pair will play on their own as they did for two intimate shows in London in December 2015. The show is scheduled to take place on the final night of the cruise on 24th January. The Delta Deep Sugar Shack tour ended in Hermosa, Beach, CA on 13th January. They join Vivian Campbell's side band Last In Line who will play two shows around the cruise. One on 20th January at the Pre-Cruise party and one during the event itself.